Happy Holidays! I’m actually still super busy, so I haven’t had lots of down time yet. I’m really looking forward to a quiet New Year’s weekend. I’m still working away on some of my ‘holiday/new year’ gifts! 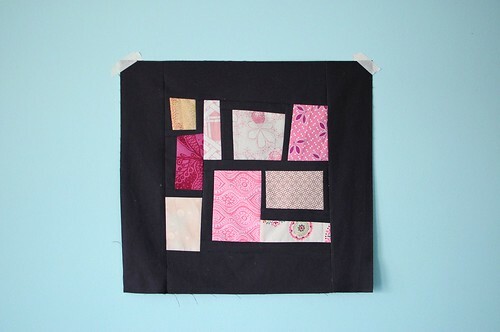 In the midst of holiday sewing, I made time for my new Sunday routine. 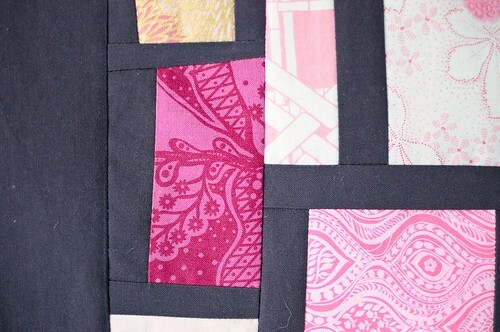 This block was inspired by the leftover scraps from a gift I am making using Kona Charcoal. 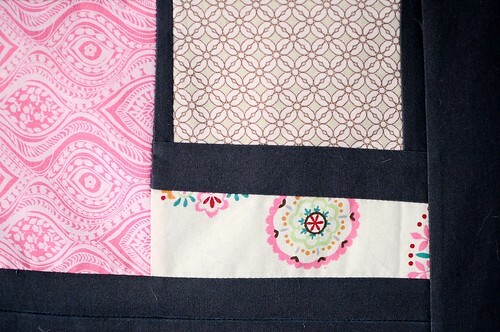 I rarely use solids in patchwork, but I love how this turned out. This is really lovely Karyn! Love the Kona Charcoal paired with those prints! I want to thank you for the inspiration you hand out all year. What a pretty color combination! Happy New Year!